EndAbuse4Good uses education to prevent abuse against teens, women and children. Everyone deserves to know the signs - before the first date. "That's Not OK: That's Abuse"
EndAbuse4Good is a leader in preventing abuse before it begins. With 1 in 3 teens stating they know someone - or are themselves suffering abuse - education is the key to helping them stay safe. Our workshop has taught thousands of youths the signs of abuse, how to get help and remain true to one's dreams. "We Care" is our hands on program impacting the mothers and children who survived domestic violence and are starting over. We never underestimate the power of a kind act to touch someone's heart and ignite hope where there was none. EndAbuse4Good is a small team united by a big dream. Our dedicated staff and volunteers are driven by the desire to educate and protect young people from being blindsided by dating abuse. Corporate Sponsors are also key players: with generous support - they are the fuel that keeps EndAbuse4Good going strong. Without programs of education that promote awareness and safety, millions of young people each year will continue to silently suffer abuse, or face life-threatening violence. Without hands on intervention, women and children recovering from domestic violence struggle to remember their worthiness and lack needed hope for better days. 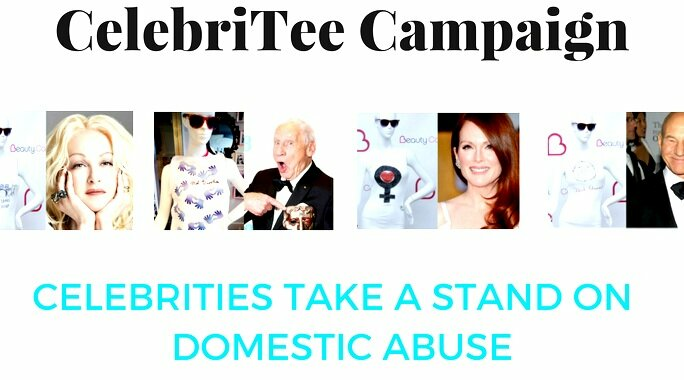 With your tax deductible donation to EndAbuse4Good, you join the good fight to prevent dating and domestic abuse against teens, women and children.